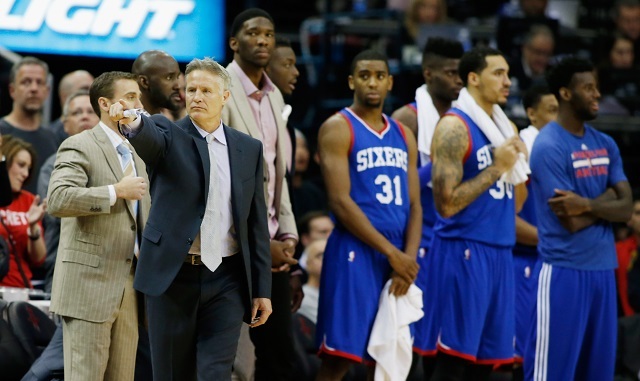 If you’re a Philadelphia 76ers fan, the road to relevance has been a long and bumpy one. And based on recent events, it would appear the journey is far from over. 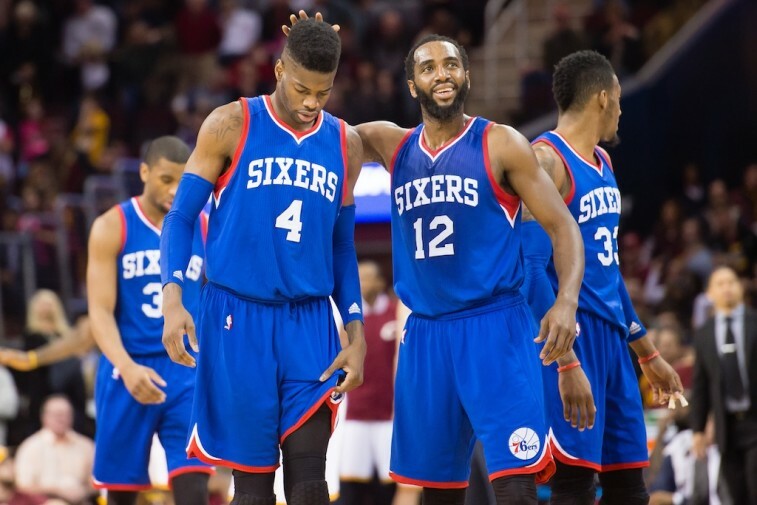 The 76ers were well aware of the risk surrounding the superstar center. 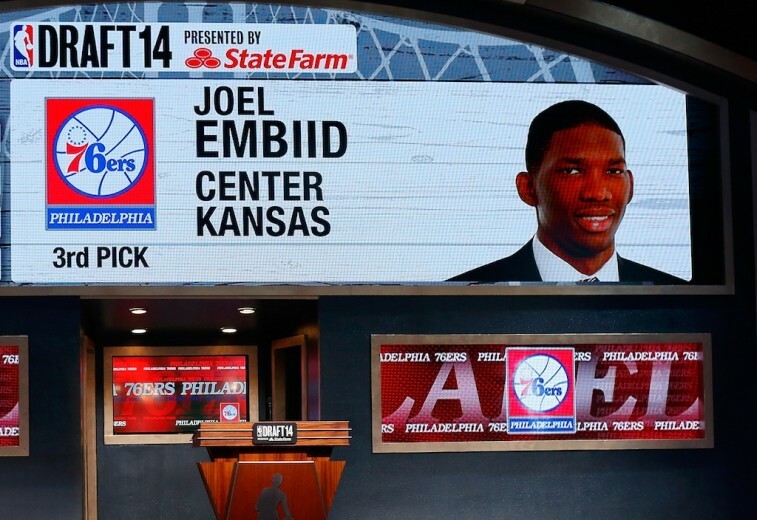 Prior to the 2014 NBA draft, Embiid underwent surgery for a stress fracture on his right foot. In basketball, it’s important to always be cautious when evaluating a player who sustains a foot injury. That goes double if you’re looking at a big man. However, Embiid was the type of franchise-altering talent that President of Basketball Operations and General Manager Sam Hinkie had been searching for since his hiring back in 2013. This latest blow was something Philadelphia had hoped to avoid by taking an extremely conservative approach to Embiid’s recovery. But these things happen. Now — as noted in the statement released by Hinkie on Saturday — the Sixers will have to take a breath and reevaluate the situation. And if what’s been reportedly lately holds merit, it might be some time before you see Emiid take the floor for the Philadelphia 76ers. This may seem like a bit of an embellishment, but we’re inclined to agree with the assessment. The NBA is a star-driven league. While some teams — the Atlanta Hawks — have proven themselves to be the exception, the 2015 NBA Finals is a perfect example of why you need a superstar-type player on the roster if you hope to win an NBA championship. The Sixers already have a solid big in Nerlens Noel, who made First-Team All-Rookie honors this past season, although for as talented as he is on the defensive end of the floor, he’s limited offensively. He’s shown vast improvement since his lone season at Kentucky, but not enough to expect him to be a dominant scorer. Noel is a great player to have on your roster. He’s just not the guy you build around. That two-way foundational centerpiece was supposed to be Embiid. If the Sixers lose him, then they’re back to square one. Under Sam Hinkie’s reign, the Philadelphia 76ers seem to live by a simple cost: If you’re terrible, collect assets until you find yourself with a superstar. That might not be how the front office would describe it, but that’s how it looks to the rest of us. With the No. 3 overall pick in the upcoming 2015 NBA Draft, the Sixers find themselves in a great position to draft another cornerstone who could help fuel the organization’s success for years to come. But there’s no telling how much Embiid’s setback will influence the club’s draft decision. The 76ers are in desperate need of a reliable guard who knows how to score. Ohio State’s D’Angelo Russell, at first glance, seems like the perfect fit for this team. If you were to pair him up with Noel and Embiid, Philadelphia would certainly have a scary young core at its disposal. But if Embiid isn’t going to be the player they were banking on, then all plans are out the window. The feeling is that Philadelphia will stick with Hinkie’s philosophy of selecting the best player on the board. But can he honestly say the organization won’t be influenced by Embiid’s status? We’re not so sure. After all, he has always been the biggest piece of the puzzle. Unfortunately, that’s what happens when you opt to roll the dice.